The Duke and Duchess of Sussex descended on Fraser Island, in what was one of the largest events to ever grace our shores. It’s been the hot topic for months, and we’re still buzzing from welcoming Harry, Meghan and the world’s media island-side. With the world still looking on, let’s get to know one of the faces of Fraser Island who worked behind the scenes in readiness for the royal visit. Meghan, the Duchess of Sussex is known for her focus on female empowerment and creating a strong sense of community. 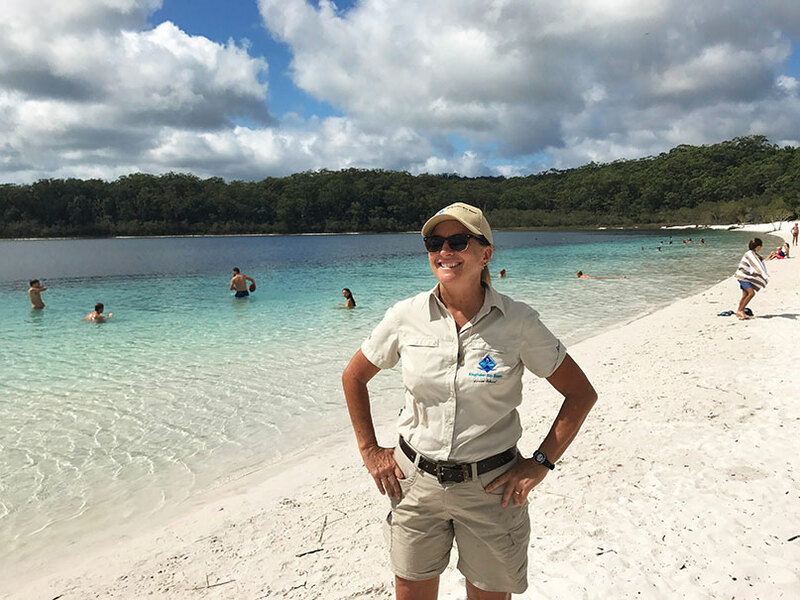 On Fraser Island, no one could embody that philosophy more that more than our fearless, female leader, Ann Bauer, Kingfisher Bay Resort’s Senior Ranger. Ranger Annie as she is lovingly known, has worked on Fraser Island for over 20 years, and has called the Fraser Coast home since the early 90’s, when she made the move to Hervey Bay. With a love of the water and the great outdoors, Annie began her career with the Kingfisher Bay Resort Group in the Marine Department. 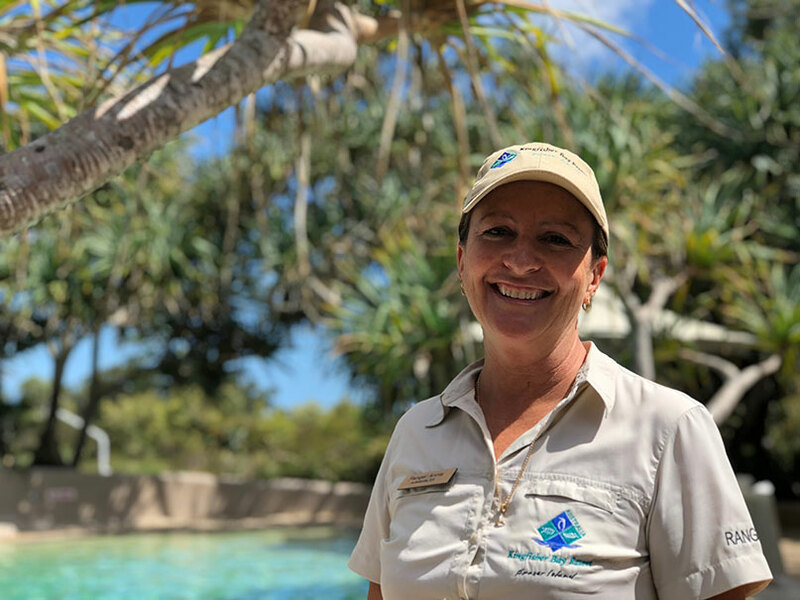 She’s now the much admired leader of our 5-strong team of resort rangers, creating memorable, nature-based experiences for the thousands of guests that visit Fraser Island each year. From hosting a range of journalists, travel writers, and television personalities day-to-day across the world’s largest sand island, Annie has also become a star in her own right. Her vivacious personality and passion for the environment is contagious – a quality that effortlessly translates on-screen. Paired with her immense island knowledge, Annie is a true ambassador for the destination, and is why she’s fast-becoming one of Fraser Island’s most recognisable faces. 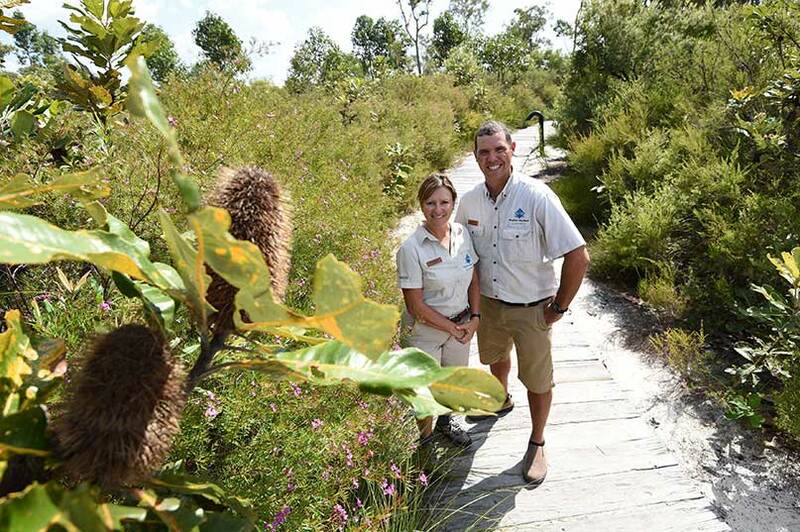 As the only Queensland stop on the royal tour of Australia, Annie and our Fraser Island family undertook months of preparation, to project this little patch of paradise onto the global stage! As royal watchers and masses of media converged on our coast, Ranger Annie and her team were raring to go. It was a lights, camera, action-packed opportunity to share the unique history of Fraser Island, and to showcase what makes this sandy spot so special - a message that the Ranger Team will continue to share with our guests, with Annie leading the way. Hit the sand tracks – get out and about in a 4WD and experience the island’s natural beauty. Explore the island’s freshwater lakes – Lake Wabby is a must! A little harder to get to, but the emerald oasis that awaits is truly spectacular!